Having a unique location is the biggest asset of prefecture-level Yibin City, Sichuan Province, China. 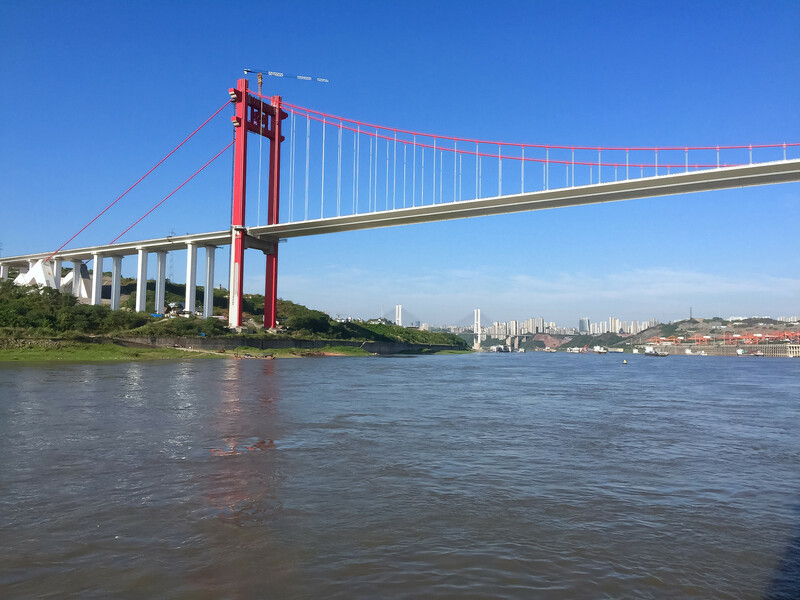 The tributary Minjiang River meets the mighty Yangtze River in Yibin, bestowing the city with a spectacular landscape in the process. Yibin has been a historically popular city due to its location on the ancient Southern Silk Route when people of different nationalities visited the city for trade. It has been a major commercial and trading hub for centuries and still is a prosperous urban area. Its rich natural beauty, diverse culture, and ancient relics have made it a must-visit holiday destination resulting in a large number of inbound tourists per year. Yibin is one of the many cities in China where the influence of diverse cultures is evident in its beautiful ethnic history. The Xijiashan Folk House showcases the best relics pertaining to the folk art, folk architecture, and folk customs and traditions of the people of Yibin during the Ming and Qing Dynasty eras. On the outskirts of Yibin City is the quaintly attractive riverside town of Lizhuang with its tree-lined avenues and ancient Qing Dynasty architecture. 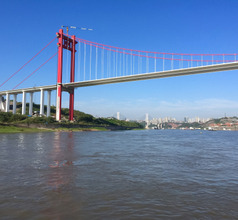 On the other than, Yibin City is a highly evolved urban area with skyscrapers, luxury hotels, well-maintained infrastructure, organized public transport systems, and more. There are many multi-cuisine restaurants, bars, and nightclubs. Being a popular tourist city, Yibin has its fair share of luxury star hotels, mid-range hotels, as well as low-priced hotels and youth hostels. There are several guesthouses or lodges with only basic amenities. Most of the large hotels are located in downtown Yibin, which is also the city’s commercial, shopping, and entertainment hub. In a majority of the star hotels, the breakfast is complimentary and the rooms are very spacious with good views. Some of the other amenities include 24x7 housekeeping and laundry services, in-room dining, concierge services, free valet parking, elevators, wheelchair-access ramps, etc. The natural and man-made tourist attractions in and around Yibin City are so many that its richness and variety can be overwhelming! The Jiangbei Park which is in the city limits was once the residence of Huang Tingjian, a famous poet during the Song Dynasty. This mansion, with its unique architecture and artistically landscaped gardens, is a popular tourist site. 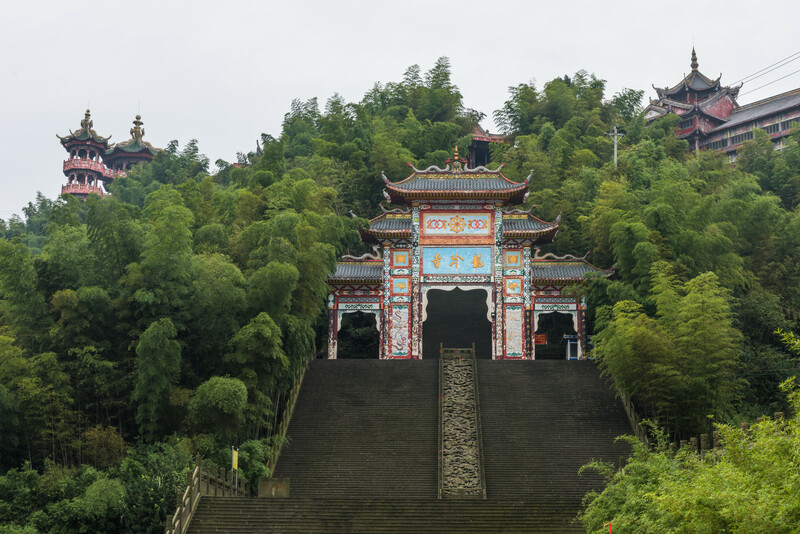 The Shunan Zhuhai National Park is a vast expanse of bamboo forest with a bonanza of ancient temples, caves, and waterfalls. This region is so attractive that some scenes from the Hollywood film 'Crouching Tiger, Hidden Dragon' were shot here. 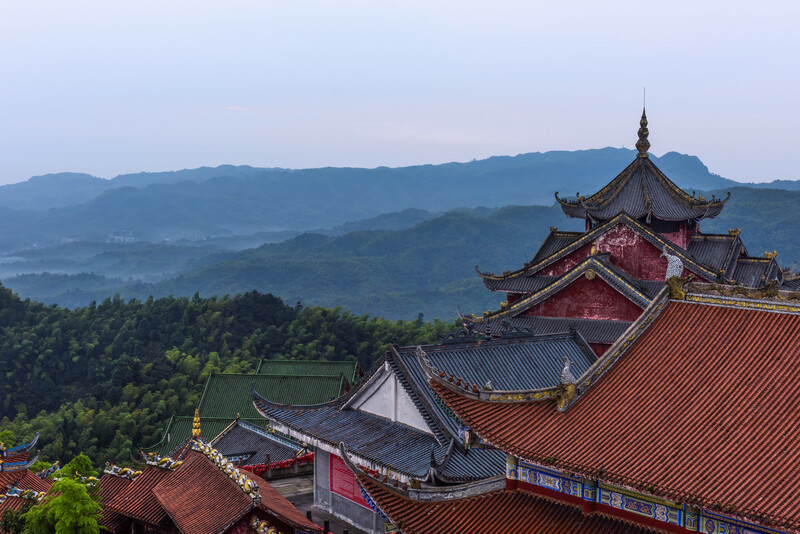 Another attraction with equally spectacular scenery is the Shichengshan or Stone City Mountain with its mountainside lakes, cascading waterfalls, dense forests, tombs that date back to the Song Dynasty, and irresistible views. Another attraction that provides a glimpse of the rich history of Yibin is the Xingwen Karst Geological Park with its massive and colorful rock formations and caves. 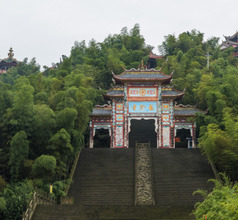 A visit to the Zhenwu Temple on Zhenwu Shan is a beautiful Taoist temple surrounded by wonderful scenery. 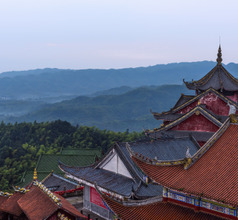 Other tourist attractions include Yunya Temple, Erlang Temple, Yuntai Mountain Forest Park, Mount Laojun, Qixingshan Forest Park, Wuliangye Wine History Museum, Mount Cuiping Scenic Resort, and Mount Hibiscus. Situated in Yibin in Chinese province of Sichuan, Yibin Caiba Airport is a military and public use aviation center, that has reached maximum capacity and will soon be replaced by Yibin Wuliangye Airport. It is 15 kms from downtown and cab takes 30 minutes whereas, bus takes almost 2 hours. Top links include Kunming, Hangzhou, Guiyang, Beijing, Shenzhen, Lhasa, Guangzhou and Shanghai served by Air China, China Eastern, Colorful Guizhou, Shenzhen, Sichuan and Tibet Airlines. A majority of the hotels have in-house restaurants serving International cuisine, so maintaining one’s usual diet will not be a problem in Yibin City. For those who like spicy food, the local restaurants of Yibin are a treat with their typical Sichuan cuisine. They make a generous use of chilies, garlic, Sichuan peppers, vinegar, and peanuts in their dishes. Some of their signature dishes are Yibin burning noodles, Sichuan hotpot, Lizhuang white meat, Mapo Doufu (tofu dish), sliced beef and peanuts in chili oil, stir-fried chicken chili, Xufu egg in rice wine, cold diced rabbit with chili and peanuts, Nanxi dried bean curd, bean jelly with numbing hot sauce, wheat noodles with pork and chili, etc. Obviously, the local cuisine is hot and spicy. All this can be downed with their aromatic Wuliangye liquor or the fiery baijiu to get the full ethos of Yibin City!